One of my favourite things to do when designing new printables is to have some fun with colour. I try not to get too crazy with the colour, but colour makes me happy. But I’m not the only one who uses these printables and many of you have put in requests for black and white versions, especially for the lighter coloured printables that don’t print well in grey scale, and I’m always happy to help. Today I’ve got four new ones that you can use in your personal planners. Bit by bit I’ll be adding some black and white printables to the printable libraries here. I’m starting with the ones most often requested because that seemed like a great place to start. I love coloured printables, but the truth of the matter is that ink and toner can become quite costly when you print as much as I do, and I know I’m not the only one who feels that way. For 2015 I opted to print my weekly and daily pages in grey scale, and I have to say I am really loving it. I use different coloured ink for different tasks, and it certainly does pop when it’s not competing against the colours of the printable. 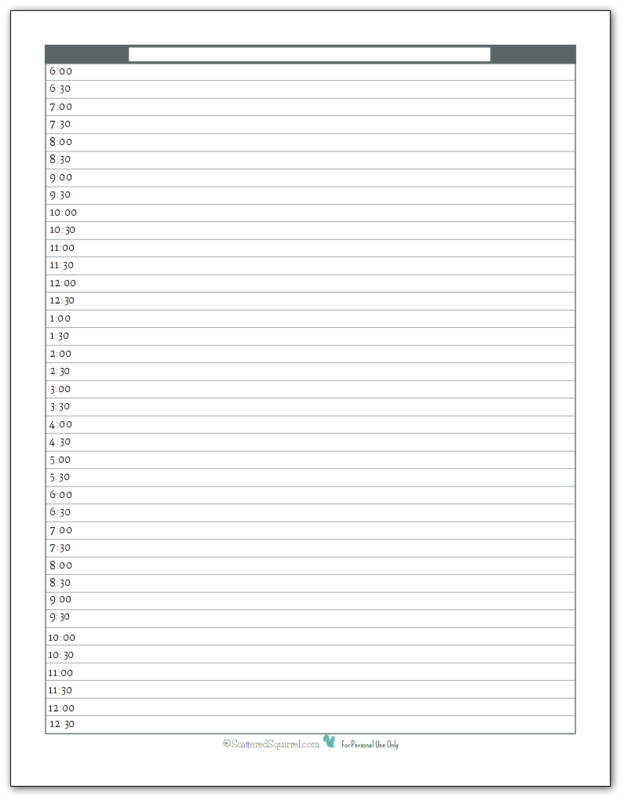 I’m sure for those of you who like to decorate your planners, having a blank-ish canvas is a nice change. It allows for the stickers and washi tape and other decorative elements to really stand out. So, with all those reasons, I can certainly see the appeal to the black and white printables, and I’m happy to be able to convert some of my existing printables for those of you who would like them. 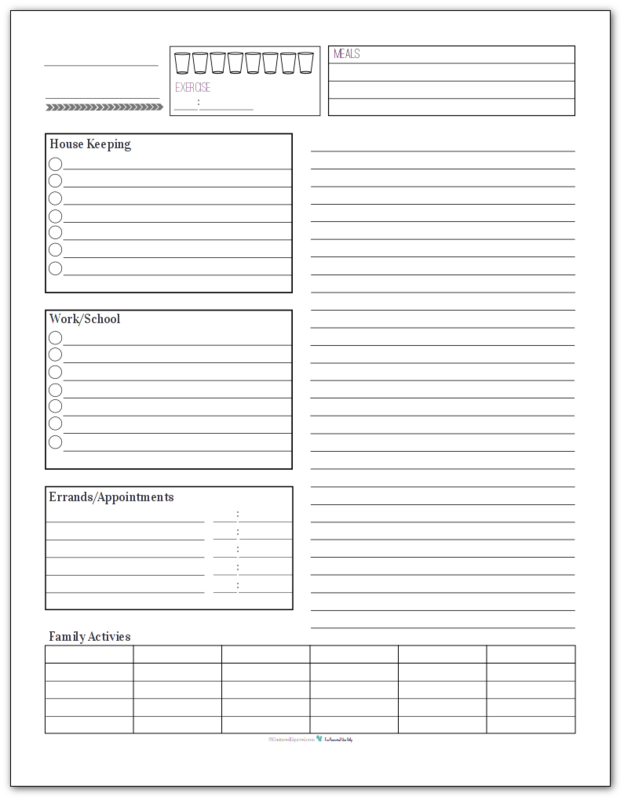 Today’s focus is the personal planner printables. I chose these four from the list because I felt they covered a good mix of what people need on a regular basis. The simple weekly planner, was chosen because it’s was the most requested of all the weekly planners I have. The simple daily agenda was chosen because it pairs well with the weekly one above. It was third on the list for daily ones. Number one is down a little further, and I’ll explain why I skipped number two. 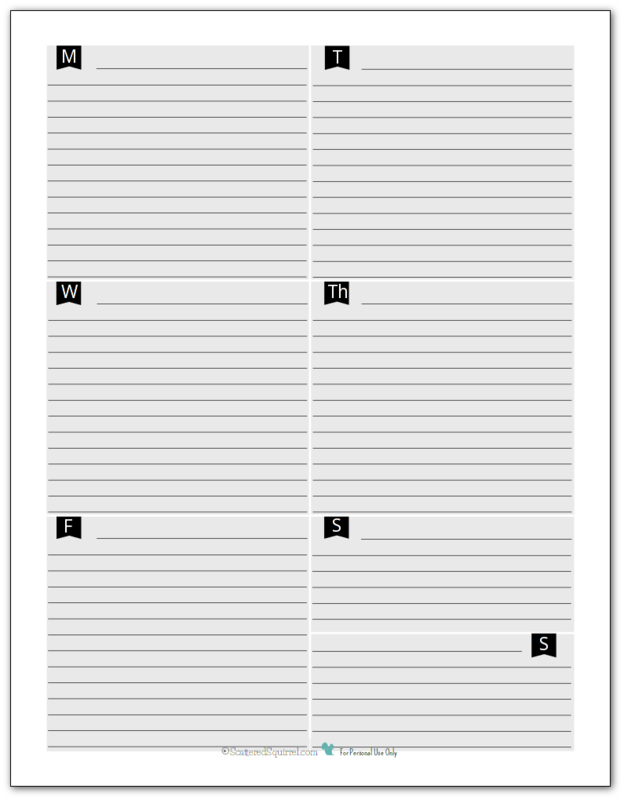 Because I did the simple weekly planner above, it made send to make it’s companion printable in black and white as well. While these two work well together, they are also work perfectly fine on their own. Last but certainly not least, the Daily To Do and Task List. This one was the most requested out of all the daily planners, and in a way it was number two as well. In the coloured versions there was two versions – one had seven pages (one for each day of the week) the other was blank. I opted to start with this one because it’s easy enough to write the day on top if you want too. So, not a super exciting post, but I hope you enjoy the printables. Today’s a pretty big day in our little world, Teen turned 17 and started his senior year of high-school all on the same day. I’m still in a bit of shock and my head and heart are full of sentimental thoughts and feelings. There have been tears here and there, all good ones. I just can’t believe how fast time seems to go by. So, with that in mind I’m going to hop off now and go whip up his favourite dinner and spend some time with the birthday boy. Have a wonderful evening everyone! 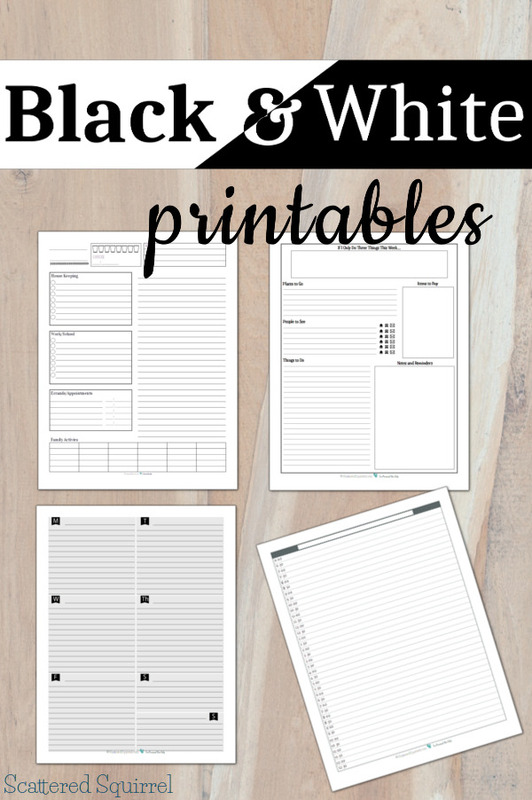 What are your thoughts on the black and white printables? Any existing printables you would like to see converted? Drop me a line in the comments and let me know. I “fell” into the planner world this past week and I feel like I’m getting deeper and deeper, something simple and black and white is perfect! I love the black and white option! Colored ink can get expensive, like you said! And I’ve found some lighter colored printables seem to lose their pizzaz after so many copies. 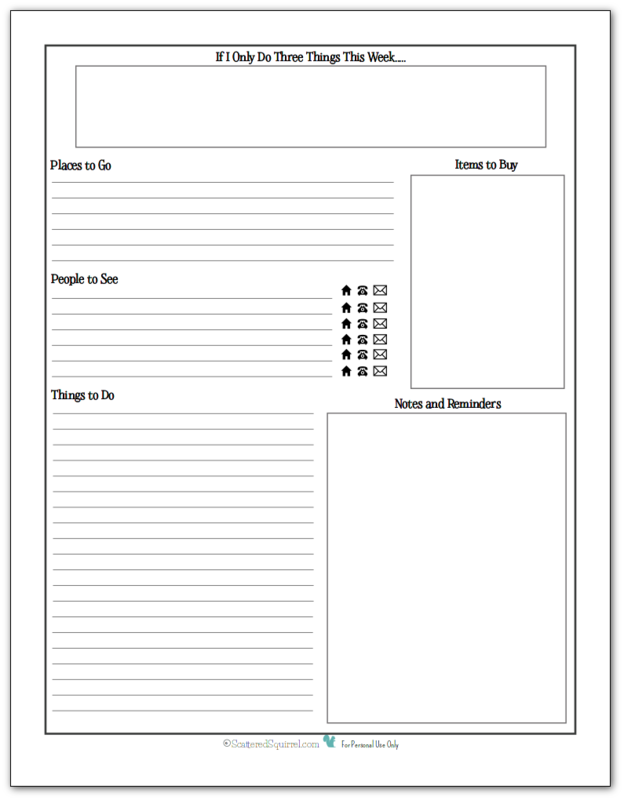 I love the Simple Weekly Planner and the Simple Daily Agenda, but I’m wondering if these will ever be offered in half sheets? Thank you for the black and whites! I just found your blog and really am enjoying the printable – exactly what I was looking for. I look forward to reading more. I admit that I love color but there are times I just like black and white best. Your printables are actually lovely in black and white – classy! Pinned to share with others. I use many of your planner printables, love them! Most important would be full size 2016 calendar on 2 pages, but I would love EVERYTHING you do in black and white, cheaper to print and a more sophisticated. Thank you! I have a 2016 calendar with two pages per month, and though there is no black and white version the coloured version does print nicely in greyscale. I hope that helps. I’m working away on converting the lightest coloured ones to black and white first since those are the hardest to see when printed in greyscale. I adore these b & w planning pages!! I prefer b & w plus we only have b & w printer?. Thx so much-I haven’t found any like this!! Thank goodness someone has come up with “down-to-earth” planning sheets. Well done!! I am a senior and a retired teacher and always applied the theory KISS. 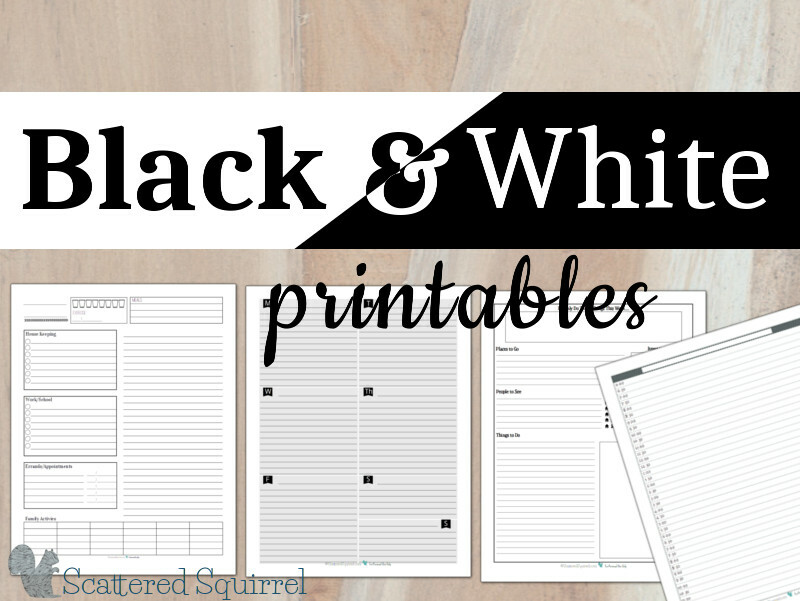 Some of the weekly printables are in black in white all ready. The calendars for 2018 are available in black and white for all newsletter subscribers. I’m working on converting more now.